Download and install latest HP 15-db0004dx drivers for Windows 10 64 bit to allow your laptop operate properly. 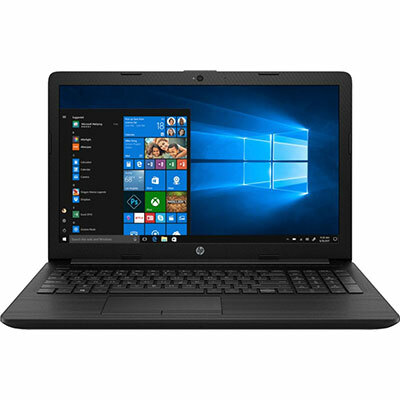 HP 15-db0004dx is 15.6-inches laptop powered by 2.5 GHz AMD Ryzen 3 2200U dual-core processor and AMD Radeon Vega 3 Graphics video card. This notebook comes with 8 GB DDR4-2400 SDRAM memory and 1 TB 5400 rpm SATA hard disk drive to store your files. This HP mobile computer has these features : 802.11b/g/n (1x1) Wi-Fi, Bluetooth 4.2 combo, multi-format SD media card reader slot, USB 3.1 Gen 1 port, HDMI port, DVD-Writer, HP Webcam, stereo speakers, and 3-cell 41 Wh Li-ion battery with up to 7 hours battery life.